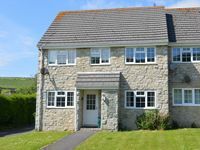 Property 20: Lovely 2 bedroom peaceful Dorset apartment, horse stable hire possible to ! Property 21: Annex flat sleeps upto three with daily free breakfast, Hot Tub, 5 Star reviews! Property 26: Gorgeous cottage for two in the heart of West Dorset. Pet friendly. Property 27: Small Hamlet, One level, pet friendly, enclosed private garden, open fields. cottage On The Edge Of The Picturesque Village Of Langton Herring. (bargain! Property 32: cottage On The Edge Of The Picturesque Village Of Langton Herring. (bargain! Characterful 18th century cottage in Bridport close to the Jurassic Coast. Property 38: Characterful 18th century cottage in Bridport close to the Jurassic Coast. Property 40: Two Bedroom Caravan (sleeps 6) Burton Bradstock, Dorset. New for 2016. Great location, good facilities and the use of the summer house and garden for your own private use is a real bonus. The converted garage has been well equipped and the rural location means that you get peace and quite. You are able to walk into Blandford and most of the attractions are about half an hour away by car. The couple live on site but they are not intrusive and let me park on the forecourt. I would advise if taking a dog that you keep the gate shut when you let them out due to the location of the road.